In late 2017, I let my blog followers choose my next route from two options: I would either travel overland through southern Africa (South Africa to Kenya) or Central America. Africa won the vote. While regions like Latin America and Southeast Asia are full of backpackers, I knew very few travellers who’ve spent time exploring Africa. I expected traveling in Africa to be a challenge. I also found relatively little information about independent overland travel in Africa. Several tour companies offer overland tours of Africa, but independent backpacking seems less common. It was even harder to find experiences from people who travel in Africa with public transport. This blog post aims to fill these gaps. 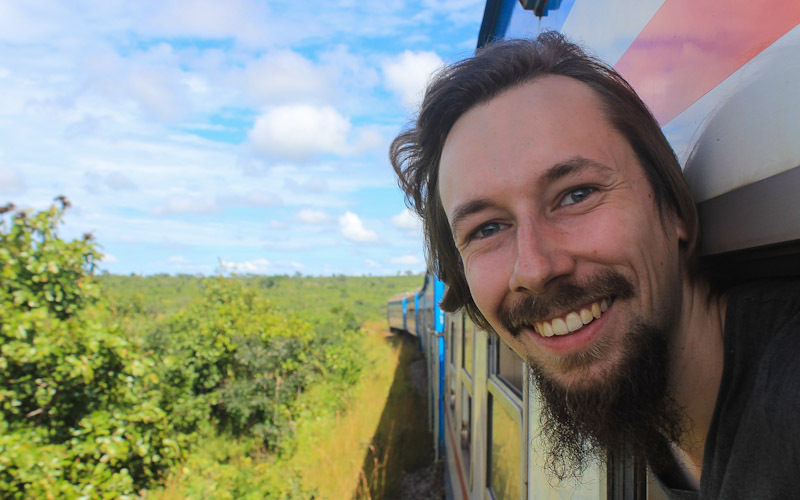 Besides writing about my own experiences of traveling from South Africa to Kenya on public transport, I also give some advice on independent overland travel in Africa. 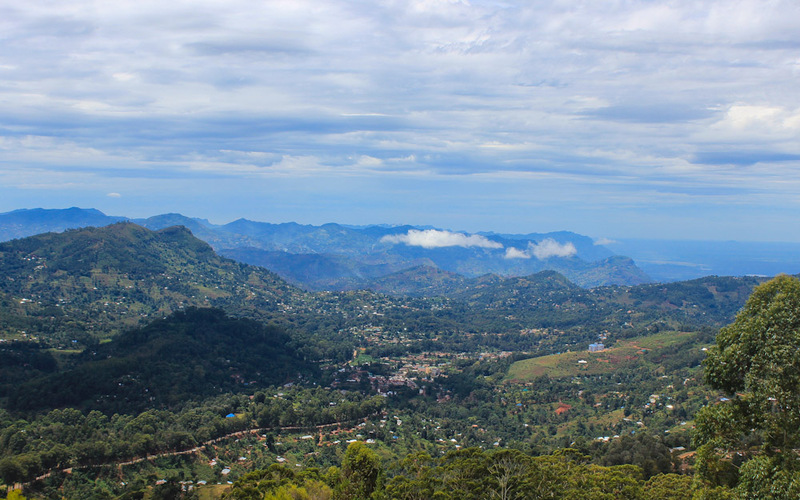 As I only travelled in southern and eastern Africa, my tips focus on those regions. An obligatory train window selfie. Many independent travellers rent a car, buy a motorcycle or even ride a bicycle around Africa. However, I mainly use buses and trains on my travels. How well does public transport work in Africa? Fairly well, I would say. Despite the sheer size of Africa, I was surprised how quick I was able to travel from South Africa to Kenya. Had I wanted, I could have easily crossed the distance in a matter of weeks. Eventually I traveled in Africa for two months, and that included a month of extended stay in South Africa. The distances may be long, but so are the roads. Several companies offer very long rides from country to country. 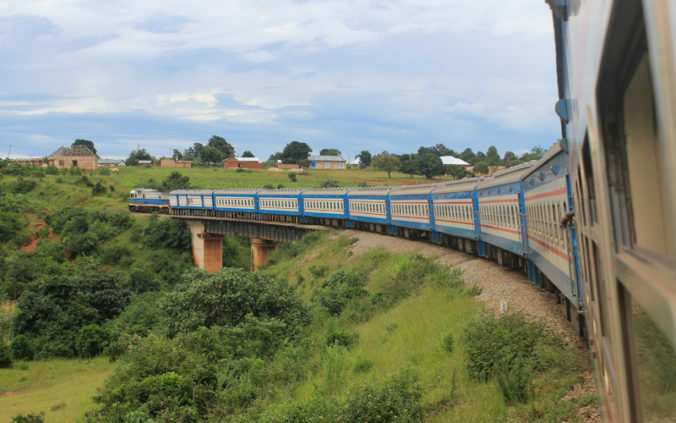 For example, I traveled from Zambia to Tanzania on the TAZARA train that took two days. A faster bus connection from Lusaka to Dar es Salaam would have taken 30 hours. 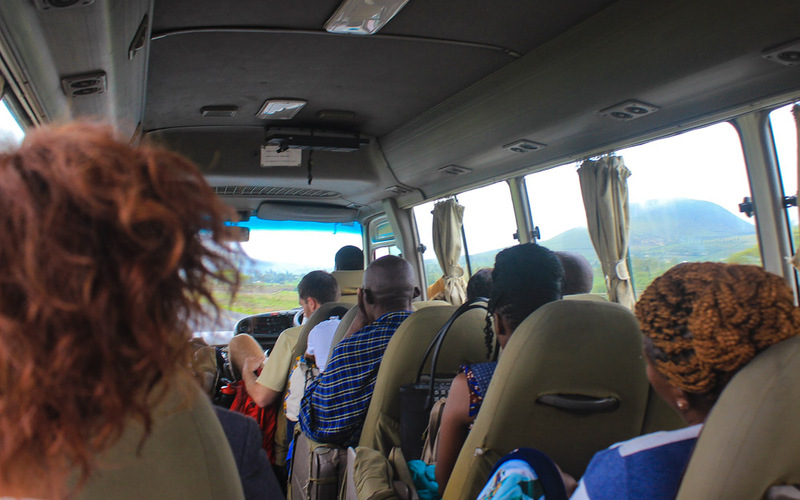 Taking a minibus from Tanzania to Kenya. The border crossings were much easier and faster than I expected. Still, there are a few issues with overland travel by public transport in Africa. Connections can be very scarce – especially for less popular destinations – so you might need to wait a day or two to get a bus/train for the right direction. It’s also not easy to find information. At times, the information can even be plain wrong. For example, the Greyhound bus company in South Africa states that you can no longer get a visa at the border if you take their bus out of the country. However, I had no problems with this when I crossed from South Africa to Zimbabwe. Get ready to eat lots of maize porridge (not pictured). Is Africa a Cheap Destination? Many countries in Africa are very poor, so one might assume that Africa is a cheap destination for independent travellers. Well, yes and no. 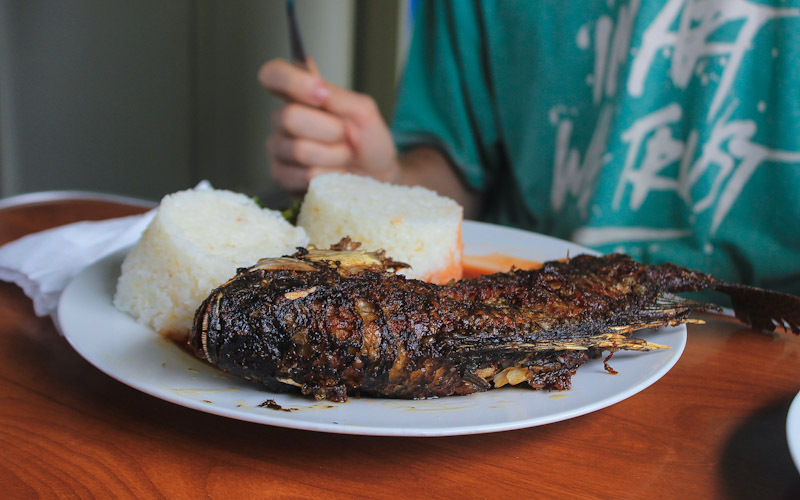 Local restaurants and services in Africa are usually cheap. However, touristy things come with touristy prices. Safaris and other tourist activities can be very expensive. Hostels are relatively uncommon, and the prices of many hotels and lodges are tailored for rich visitors. 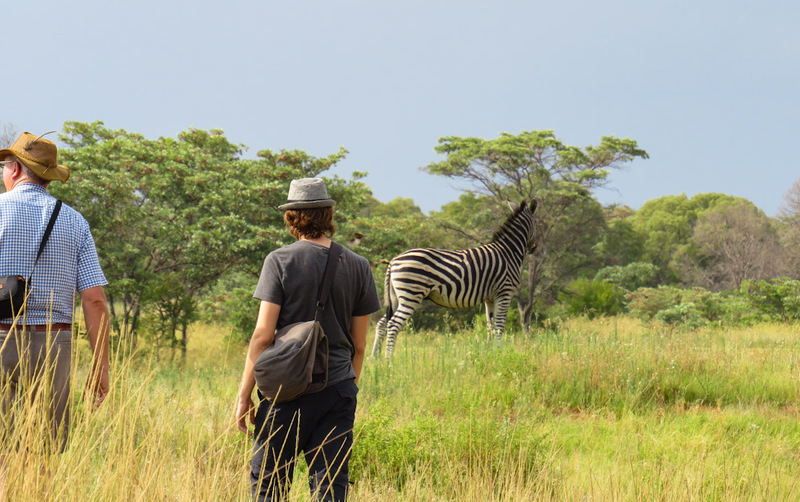 I didn’t go to any actual safaris, but I had a chance to explore different game reserves with my Couchsurfing hosts in South Africa. I used Couchsurfing for most of my accommodations. It worked moderately well, although there were relatively few hosts available. Many of my hosts were white expats, and nearly all my local black hosts worked as tourist guides. Some locals use Couchsurfing mainly for financial gain, but I didn’t have any issues with my own hosts. Couchsurfing worked for me, but otherwise solo budget travel can be a bit difficult. Most sights are outside the cities, and public transport is rarely an option. You either need to hire a driver or get your own vehicle. I traveled from Zambia to Tanzania with Catalan backpackers Anna and Roc. You can try to find other travellers to share the costs, but that doesn’t always work out. For example, I would have wanted to visit Matobo National Park near Bulawayo, Zimbabwe. Unfortunately the other two guests of my hostel weren’t interested, so I ended up skipping it – hiring a driver just for myself would have been too expensive. 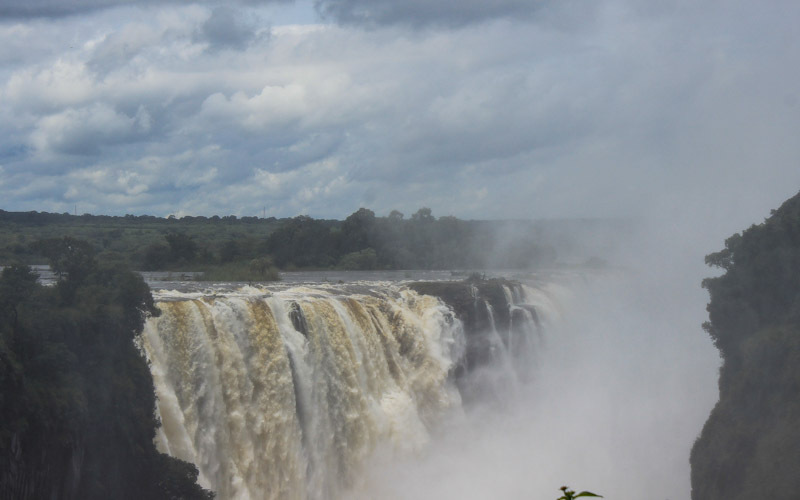 Victoria Falls, one of the biggest tourist draws in southern Africa. Which Route Should You Take in Africa? My trip – traveling from South Africa to Kenya (or Kenya to South Africa) is one of the most popular overland journeys in Africa. The routes vary, however. If you want, you can stick to countries with minimal language barriers. I traveled in South Africa, Zimbabwe, Zambia, Tanzania and Kenya – all countries that have a history with British colonization. This makes surviving with English language very easy. Other countries such as Botswana, Malawi and Namibia also use English. Portuguese-speaking Mozambique is a rare exception. It’s usually quite easy to cross borders while traveling in Africa with public transport. However, the high prices of visas might discourage your country hopping on a shorter trip. Most single-entry visas in southern Africa cost around 50 US$ (42 €), and almost all countries require a visa for visitors. 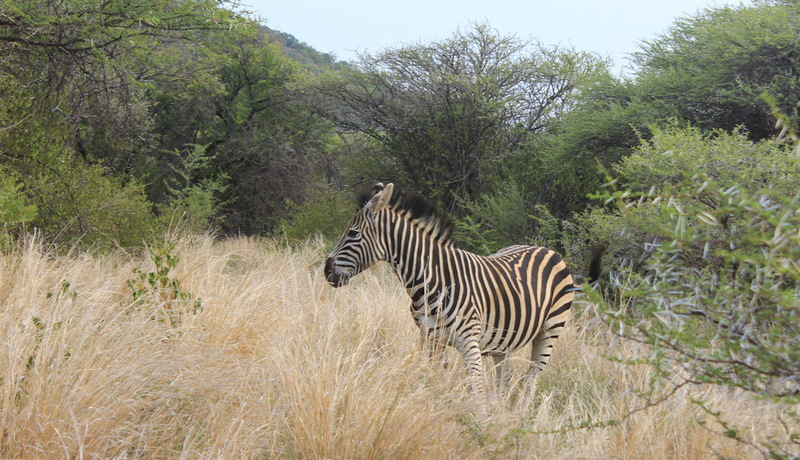 A zebra in Mokopane Game Breeding Center, South Africa. Is It Safe to Travel in Africa on Public Transport? Before I started my 2-year trip around the world, I was a bit afraid of traveling in Africa. However, it is mainly the unknown that we fear. Once you get to know a place, you can put things into the right perspective. Sure, there’s malaria and the other diseases. Malaria appears all over southern and eastern Africa, and it is a very serious disease. Chomping down malaria pills can be expensive, and many of them come with a wide variety of side effects. I luckily had very few issues with my meds (Malarone). I only noticed my first side effects once I had forgotten my daily dose and took it in the middle of the night. When I went back to sleep, my dreams became clearly more intense and immersive. 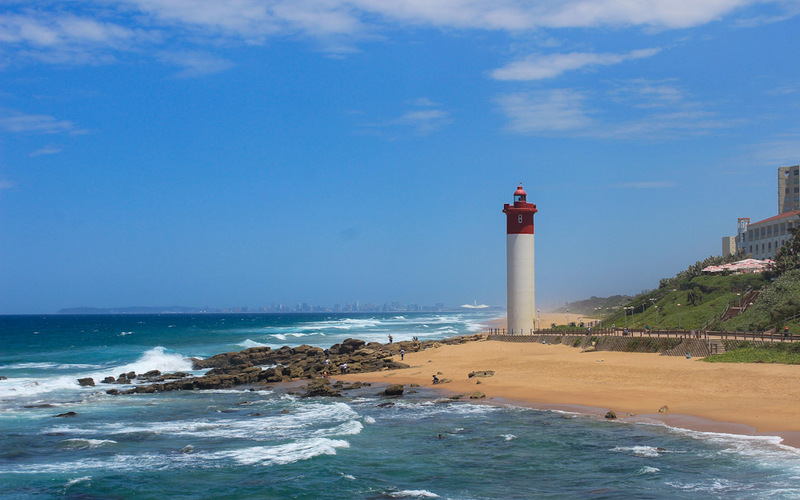 After the Apartheid ended, once restricted beaches of Durban, South Africa, were suddenly open to all public. Yet tensions between ethnic groups in southern Africa are far from over. And what about the other safety issues in Africa? I don’t know if southern Africa is more dangerous than Brazil or Mexico, but people were definitely afraid and cautious. As a clearly foreign tourist, you also get a lot of unwanted attention. However, most of this is just annoying, not dangerous. Street vendors are a nuisance, but I also encountered many helpful locals who were genuinely happy to see foreign visitors. It’s better to be safe than sorry, but your worries shouldn’t prevent you from visiting Africa. For most of the time, I felt completely safe during my overland trip in southern Africa. Just check the travel warnings in advance and follow the news to be on the safe side. Mountains near Lushoto, Tanzania. The landscapes of southern Africa can be surprisingly varied. I did enjoy traveling from South Africa to Kenya on public transport. At the same time, I feel like I didn’t get as much out of the region as I could have. For instance, I didn’t have enough time and money to explore Africa more deeply. My 2-year trip around the world is almost over, and I cannot spend hundreds of euros on safaris and other adventures at this point. Still, I got a few glimpses of the Africa that others love so much. Yes, the animals are definitely amazing. I didn’t like Lusaka and the other big cities, but my stays in smaller villages such as Lushoto in Tanzania were generally more enjoyable. 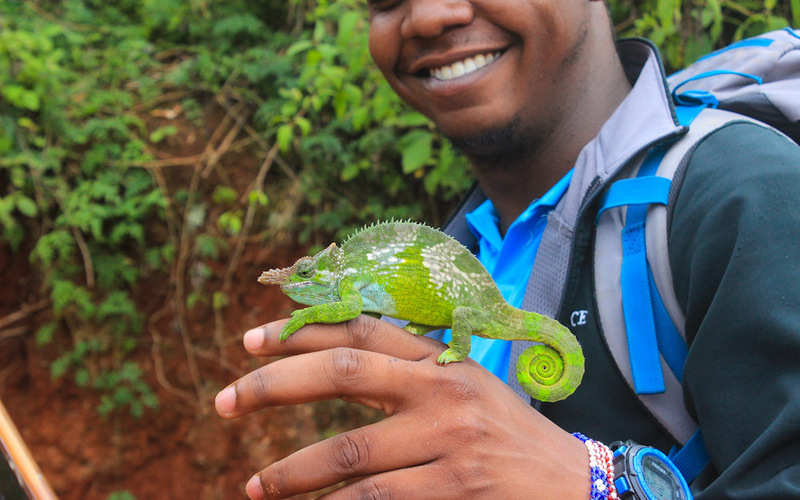 A chameleon in Lushoto, Tanzania. I had many of my best experiences in smaller and less popular towns. The local cultures – past and present – are also very interesting. Each country felt like a unique melting pot of different ethnic groups and traditions. For example, Zimbabwe has astounding sixteen official languages! And as I visited Africa this year, I felt like I was experiencing history in the making. In Zimbabwe, dictator Robert Mugabe was ousted after nearly 40 years in power. South Africa’s president Jacob Zuma was also forced to step down this February. Replacing the rulers won’t change everything, but I did witness some cautious optimism. If all goes well, the changes might make southern Africa more accessible for visitors as well.